On June 7, 2016, Royal Dutch Shell announced that they would build a $6 billion ethylene cracker facility in Beaver County, near Pittsburgh, PA. While preparations have been ongoing for the past few years, the main construction will begin around the beginning of 2018. By 2020, commercial production will likely start. This plant is expected to produce 1.6 million tons of polyethylene annually. What Is an Ethane Cracker Plant? Using the natural gas and oil that is being extracted from the nearby Marcellus and Utica shale sites, this cracker plant will change these resources into a form that is used in the first stage of chemical manufacturing, eventually forming useful plastics. Ultimately, the polyethylene will be used to produce many items in your house or ones that you use every day, including sports equipment, construction materials, food packaging, automotive fuel tanks, toys, and garden furniture. It’s also used to create industrial chemicals and pharmaceuticals. Nearly 70% of polyethylene customers are within a 700-mile radius of Beaver County, which means that the supply produced in this plant will be shipped to the East North Central, Mid-Atlantic, New England, and South Atlantic parts of the United States, as well as east Canada. 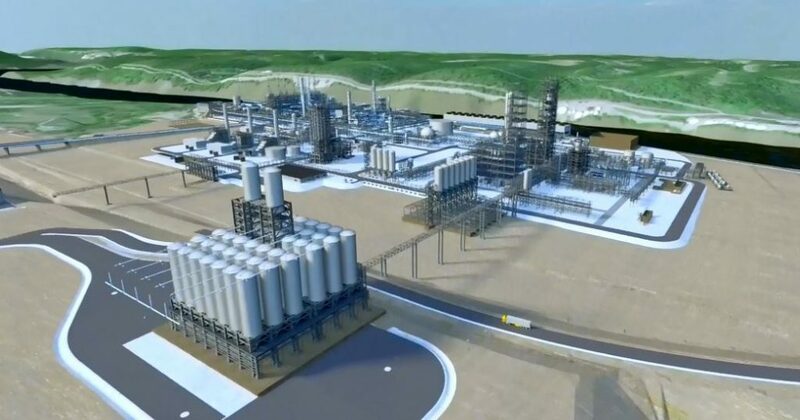 With so much natural gas available from both the Marcellus and Utica shale sites, the new cracker plant will create more than 1.6 million tons of polyethylene that will then be sold to companies who will produce goods. What Opportunities Are Available for Business in This Area? First, plant construction will take several years, and employ about 6,000 construction workers and contractors who will fulfill electrical, welding, industrial, and manufacturing positions. Once the facility begins production, it will require a workforce of about 600. Marcellus Utica Connection will help your business, industry, or organization connect with others in this region and with community and economic development.